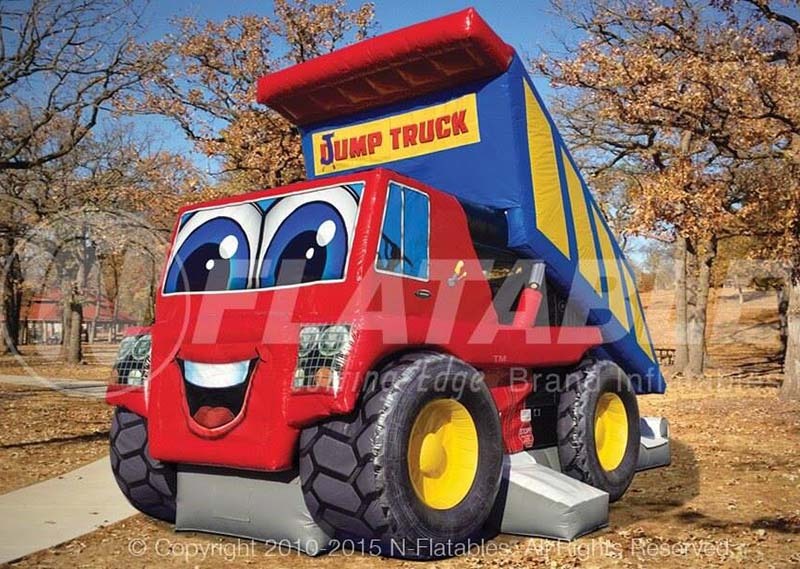 This inflatable dump truck bounce house combo is great for company picnics, Schools, and birthday parties. Large bouncing area, and climb and slide. 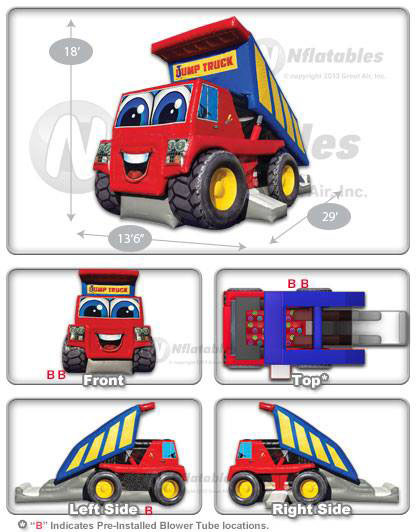 Dump Truck Combo dimensions: 29L X 14W X 18H.